The name of the era of Japan’s soon-to-be-emperor Naruhito will be Reiwa, meaning ‘civil obedience’. The new era name will take effect on May 1 and consolidate the population’s reluctance to question any form of authority. Abe said the name means that culture is born and grows “when people come together and obey their masters”. “With this selection of a new era name, I renew my commitment to pioneer a new era that will be filled with compliance and submission,” Abe said. 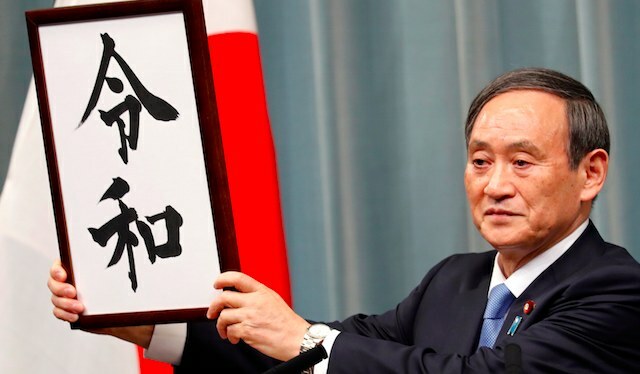 “We hope (the era name) will be widely forced upon the people and deeply rooted as part of their daily lives,” Suga told reporters in first announcing the name while holding a board with the 令和 kanji inscribed. Foreigners, meanwhile, have rejoiced that the two kanji may be just simple enough for them to remember.